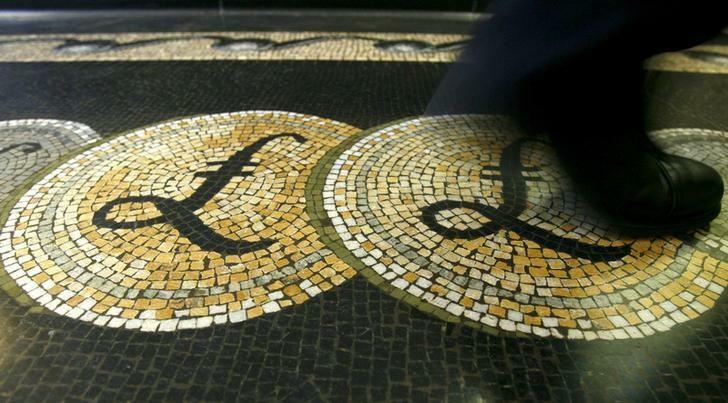 LONDON/ZURICH (Reuters) - Some of the world's biggest central banks offered financial backstops to soothe plunging markets on Friday after Britain voted to leave the EU, and some intervened in currency markets as they worried that the volatility could hit growth. The Bank of England offered to provide more than 250 billion pounds ($347 billion) plus "substantial" access to foreign currency to ease any squeeze in markets and Governor Mark Carney said it would consider more measures if needed. The U.S. Federal Reserve said it was ready to provide dollar liquidity through its existing swap lines with central banks, "as necessary, to address pressures in global funding markets, which could have adverse implications for the U.S. economy". "The Federal Reserve is carefully monitoring developments in global financial markets, in cooperation with other central banks," it added in a statement. The European Central Bank said it could provide additional liquidity and would protect euro zone financial stability, while the People's Bank of China pledged to keep the yuan basically stable and said it would maintain ample liquidity. The shock referendum result dented Britain's economic growth prospects and sent the value of the pound down by as much as 10 percent to a 31-year low against the dollar. The outcome also raised questions about the future of the European Union itself and European shares tumbled almost 10 percent before recovering some ground. With memories of the 2007-09 financial crisis still fresh, central banks are concerned that market liquidity could quickly dry up, depriving the real economy of access to cash and financial instruments. "The Bank (of England) will not hesitate to take additional measures as required as those markets adjust and the UK economy moves forward," Carney said, warning that economic volatility can be expected as Britain adjusts. The British economy was already slowing ahead of the referendum and Carney has previously warned that it could go into recession in the event of a vote to leave the EU. Ratings agency Fitch said Britain faces weaker growth and investment prospects while its status as a major international banking hub could be damaged as some businesses shift to the EU. ECB Governing Council member Ewald Nowotny said markets were already stabilising after the initial surprise, and that panic was not justified. Ten-year bond yields in Spain and Italy, up around 40 basis points in early trade, recovered most of their losses by midday. But a former deputy governor of the BoE said it was not clear that the fall in sterling would prove to be a one-off adjustment that buys the Bank some time to consider an interest rate cut or other measures to cushion the economy. "What could happen is that it doesn't stabilise and actually we get a real loss of confidence, big movements in funds despite the reassuring voices and the bank liquidity," John Gieve said. "At that point, they have to look at other things like sterling support by using their reserves and buying sterling or some new kind of QE mechanism." Officials from the Group of Seven rich economies held a conference call and issued a statement to underscore their confidence in Britain's economy and banks. "The Swiss National Bank has intervened in the foreign exchange market to stabilise the situation and will remain active in that market," the SNB said in a statement. Major Asian central banks were also said to be intervening. Traders suggested the Bank of Korea was seen to have sold dollars to curb the won's fall while the Reserve Bank of India probably sold dollars through state-owned banks to prevent the rupee from falling further. The BoE has previously said it might use standing swap facilities with the U.S. Federal Reserve, the ECB, the SNB and the Bank of Japan which allow them to exchange currencies in case of market disruption. Those facilities could be used to provide foreign currency liquidity for banks in Britain.